This article was originally published on Fairfax Media. For more than 43 years the Rosebery Service Station has been part of George Caryannis’ life. He remembers being just 14-years-old, and watching his father pump petrol and work on cars in the attached garage, building the business to become a local icon. 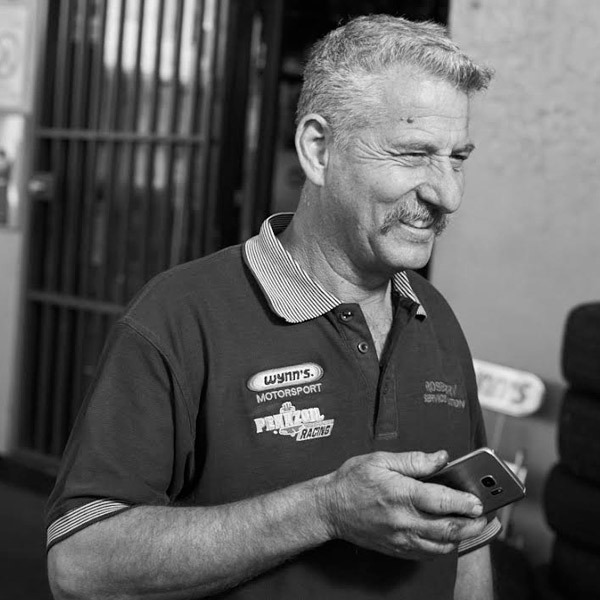 Today, Caryannis, his brother Dell and son Evan are still serving some of those same clients, or their grandchildren, as the last remaining driveway petrol station in Sydney. It’s a niche market and the business has grown because of that specialised service, Caryannis says. But the fuel industry is a competitive one and as the prospect of electric cars become increasingly viable, the auto service industry is ripe for disruption. For many businesses, the challenge is working out how to be ready for anything, and plan for the known unknowns. SuccessionPlus founder and chief executive Craig West says while there are certain issues particular to family businesses, the lessons they can learn are universal: face disruptive market forces head on; have a plan for the worst case scenario, and learn to recognise the motivations driving decision making in the business. People also need to ask what growth looks like for their business and what role the next generation will play in expanding their market. West says he is increasingly talking to clients about the role technology plays in their business, both from a competitive disruptive point of view, but also from the perspective of making life easier for owners and saving time. “What takes you three or four hours in the morning can be done in 15 minutes now,” he says, by using a number of technological advancements, from automated reconciliation of bank accounts to apps that plug into a business’s software and feed data on marketing, sales, financials, even workplace safety, directly to the computer’s dashboard. West says, particularly for baby boomer small business owners, there can be a lag in uptake of this technology mainly because they don’t know what’s available, or understand how sophisticated the technology has become that can help automate their administration processes. Part of planning for anything is embracing new ideas, and West says while the younger generation might come with swags full of those, as well as better digital literacy, businesses should already be taking advantage of tech tools that streamline financial and administrative processes. “Typically younger people are better educated, they read a lot more, and there’s more entrepreneurism taught now than what there used to be so they get that, and they come in with new ideas. But they also get Mum and Dad saying, ‘we did it this way and it worked for us, why change?’. West also suggests sitting down and brainstorming what could go wrong. Conversations around the “what ifs” aren’t always comfortable ones, but business owners need to think about unplanned exits or business interruptions, be it illness, divorce, accident, natural disasters and what kind of protections and agreements they have in place. For family businesses in particular, West advises they work at approaching any of those discussions, and any strategy and planning decisions, with a clear understanding of how and why they are making particular decisions. “Typically in a family you’re wearing a number of hats.” Those could be business owner, parent, employer and/or employee. “So it’s about putting your hat on and saying, ‘Well actually as a business owner, I’m making this decision; as a family member it’s something different’,” West says. Market disruption is also an issue, and one that’s difficult to predict. “You’ve got to start to think about what else could change in your industry? What’s going to come along that’s different and then how do I take advantage of that, what could I do, or add?” West says. But all that strategising takes time, and it’s time few business owners choose to prioritise during the week. “I tell most of our clients to work from home on Fridays… or go and spend two hours in a coffee shop, and maybe it starts out as 45 minutes because two hours sounds like a very long time to begin,” West says.